Use the System Information command to get an overview of the device's properties, as well as the list of installed applications and security patches. The Installed Application tab enables to get the list of installed application on the system. You can uninstall applications using WMIC command by right clicking on the application. 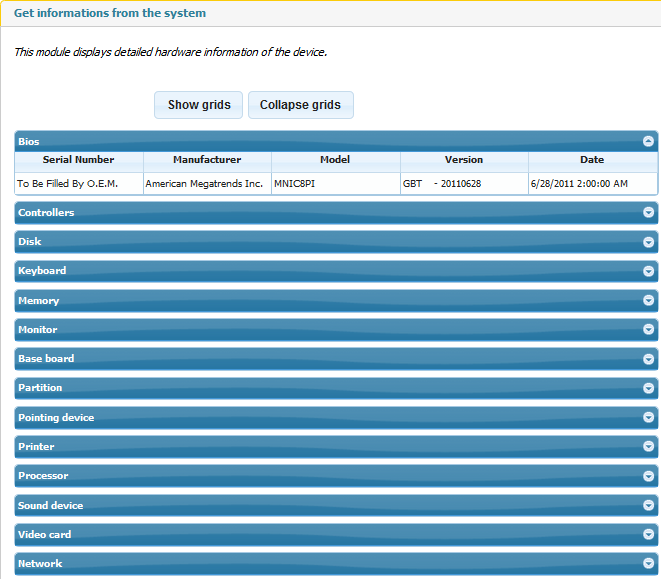 The Inventory Information command lists the hardware specifications of the device. Click the desired grid to get detailed information on each element. Administrators may want real-time information while accessing a target device. 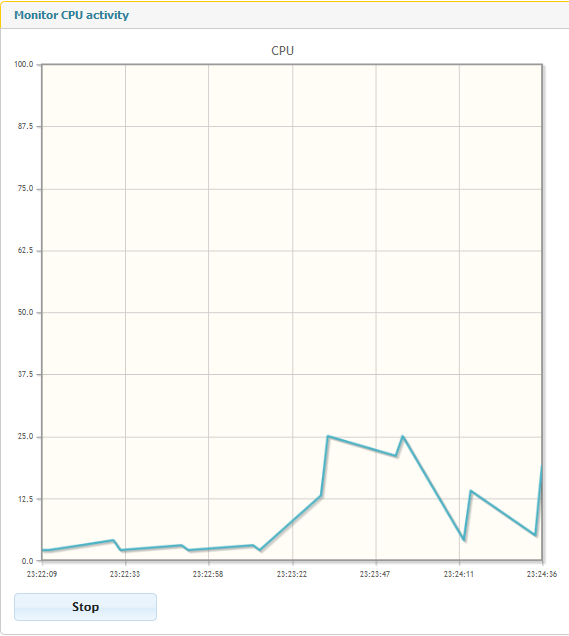 This could include CPU performance, a list of started services, or a list of running applications. Use the Device Performance command to instruct the device to send a continuous flow of data for display. Before starting to send the data, the device will need to receive the corresponding request from Xcalibur W server. The time needed for this is equal to the pulse frequency. Therefore, Administrator should expect a delay before displaying the data. These graphics give an overview of the current RAM, CPU and T° levels. 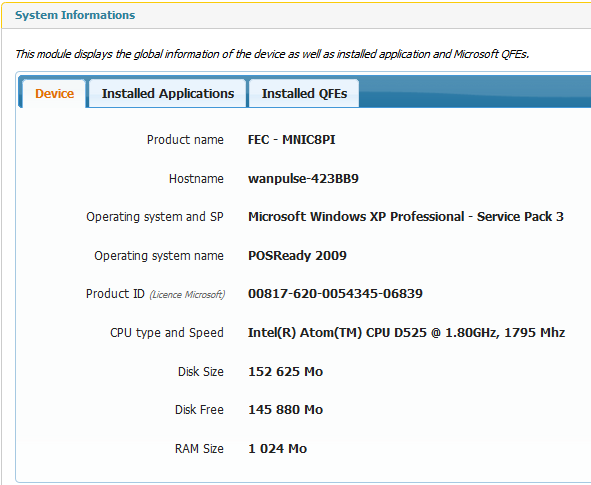 The section below displays the list of applications running along with their Process ID and Memory Footprint. You can kill an application by right clicking on the application as shown below. The section below displays the entire list of services with their live status. You can Start or Stop a Service by a right clicking on the service as shown below. In order to check the network connectivity from the device to a specific URL, Xcalibur W allows the execution of the PING and TRACERT Commands. The corresponding results are then stored within the Command Result Window. 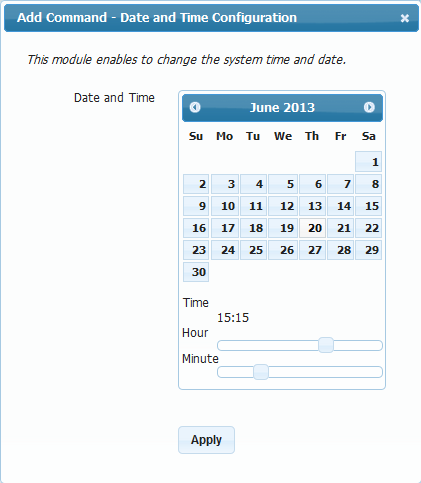 Use the System Time command to change the date and the time. 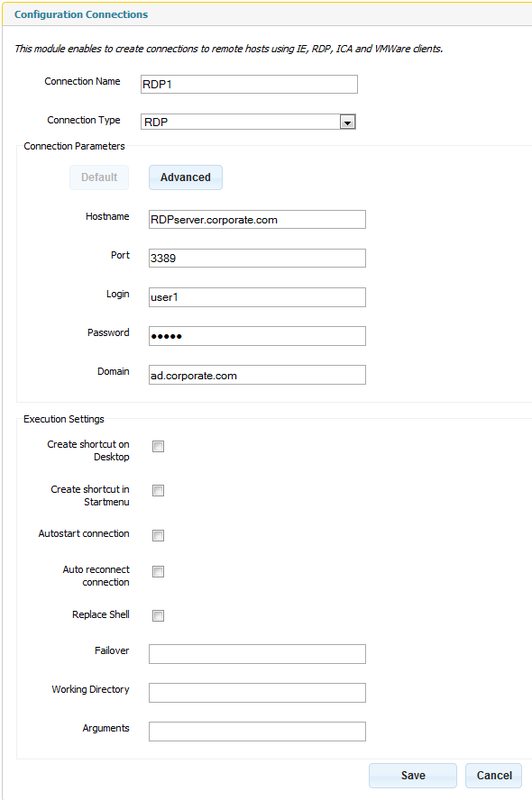 To add a new connection, click New and fill in the appropriate fields in the Connection Parameters section. Some optional settings are provided in order to customize the behavior while executing the connection. Once saved, the connection will then appear in the Connection Manager as shown below. 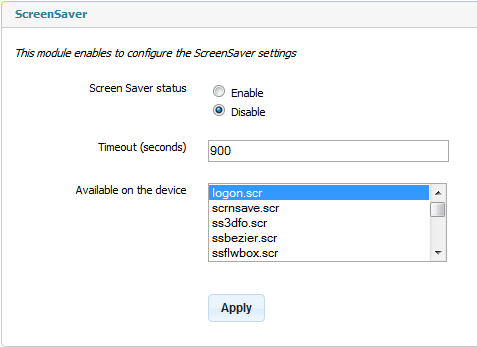 Use the Screen Saver command to view and configure available screen savers on the device. 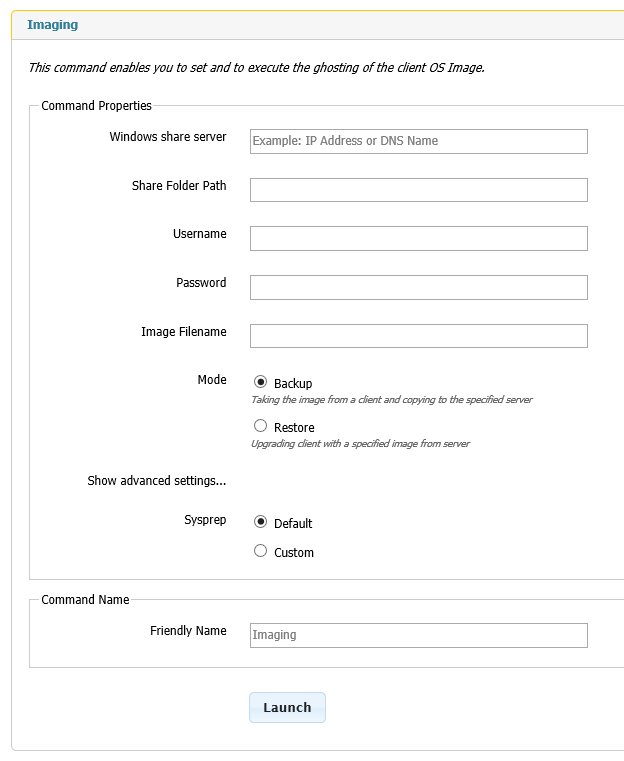 Use the Imaging command to backup and restore client images.This features is available for only for Windows 7 and Windows 8 platforms (including Embedded versions). Note also that the BCD bootloader shall be included in the system partition.